Guess what? I have something in common with Pippa Middleton (who, funnily enough, has been mentioned briefly in this blog before – ‘Peeeepah’, the hot topic in the Bernese Oberland). She and I have been preparing for a very long cross-country race – separately, I must add. Hers? The Vasaloppet in Sweden. Participants – 15,800; distance – 90km; date – Sunday, 4 March; first running – 1922. Recently she was photographed training in Gstaad. Mine? 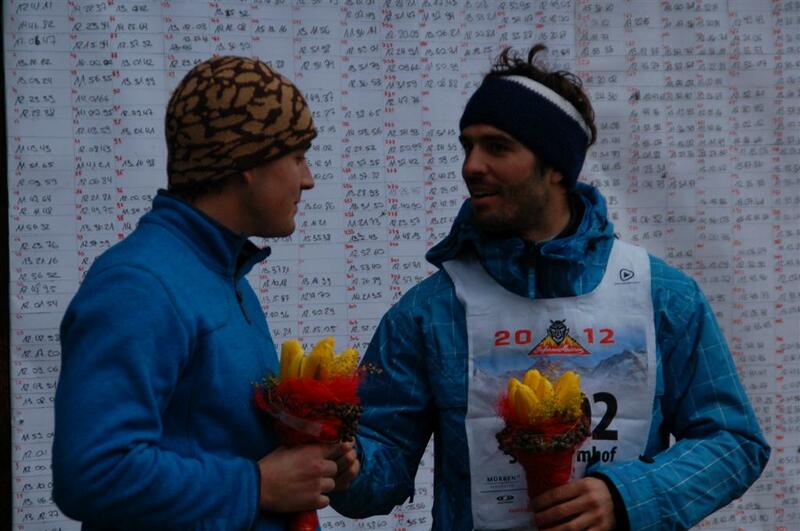 The Engadine Marathon in Switzerland. Participants – about 12,000; distance – 42km; date – Sunday, 11 March; first running – 1969. 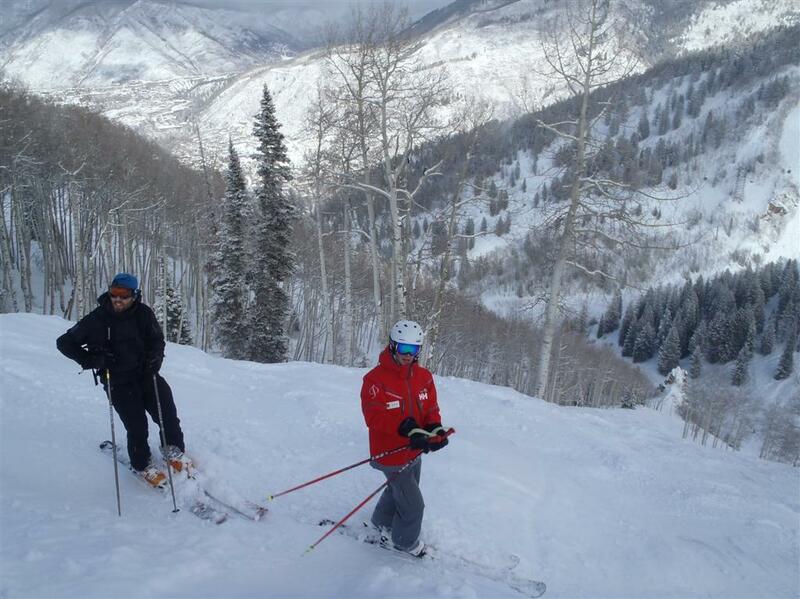 There’s no photographic evidence, but I promise I did some training (well, an enjoyable hour, in half a foot of powder) during a recent trip to Aspen. So the race Pippa is doing (along with her brother, James) is considerably longer, older and larger than mine. It’s also less well known – but not for much longer, and it makes me smile to hear how excited the organisers sound about their royally connected arrivals. To me, from the pictures in Blick, it looks as though Pippa is practising skating-style in Gstaad. But I don’t think she can be, because from the Vasaloppet website, it looks as though it’s compulsory to do the race classic-style. I’m no expert (I do a meagre 6km cross-country race whenever I go to the Inferno and that’s about it – and I never get much faster), but I hope her poles are long enough – I was advised in Aspen that they’re meant to come up to somewhere between your chin and nose and I think hers (on the right of picture 4 in Blick) only reach her shoulder. I’ll let you into a secret, though. I’ve had to bottle out. While exercising not-very-furiously 10 days ago, I tripped over a grassy tussock and crashed onto my shoulder. There’s no break, but just enough damage that I won’t be propelling myself across frozen lakes and wooded valleys after all. I’m still going along, mind you, to cheer on my energetic boyfriend and see what I’m missing. Meanwhile I’ll be thinking of Pippa and James this Sunday – and hoping they are super-extra-mega-fit. Langlaufing feels great once you get into a rhythm, but 90km is a ludicrously long way and I’ll be seriously impressed if they cross the finish line. An email landed in my inbox this morning from Caroline Stuart-Taylor, announcing she is to leave her post as chief executive of the Ski Club of Great Britain on 31 March. 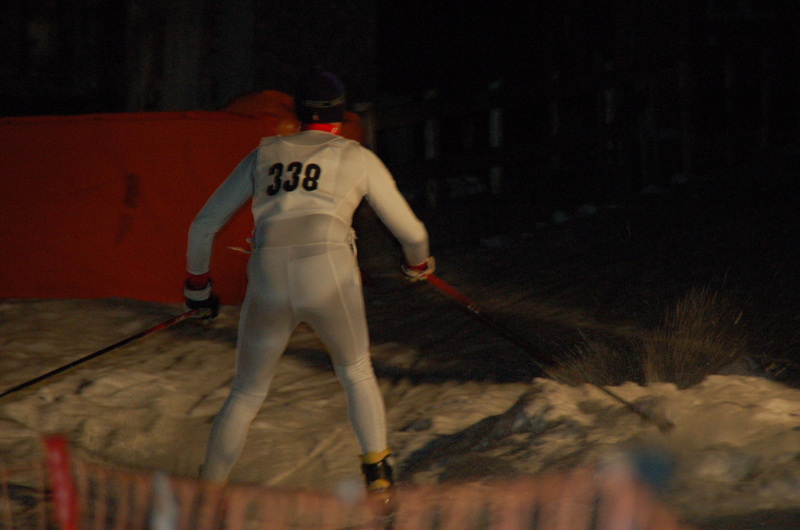 “CST” has been a fixture at Ski Club HQ for 16 years and a Ski Club rep for much longer. I first met Caroline at the Inferno downhill in Muerren in 2006, when she tapped me on the shoulder at the finish in Lauterbrunnen (it was a year when the race ran the full 15km course). Without introducing herself (I had no idea who she was), she demanded to know: “What was your time?” I don’t think I knew, although it turned out I had beaten her by less than half a second (she is 18 years older than me). Since then I have come to know Caroline better, both at the Inferno and since I did the Ski Club of GB leaders’ course in December 2010. 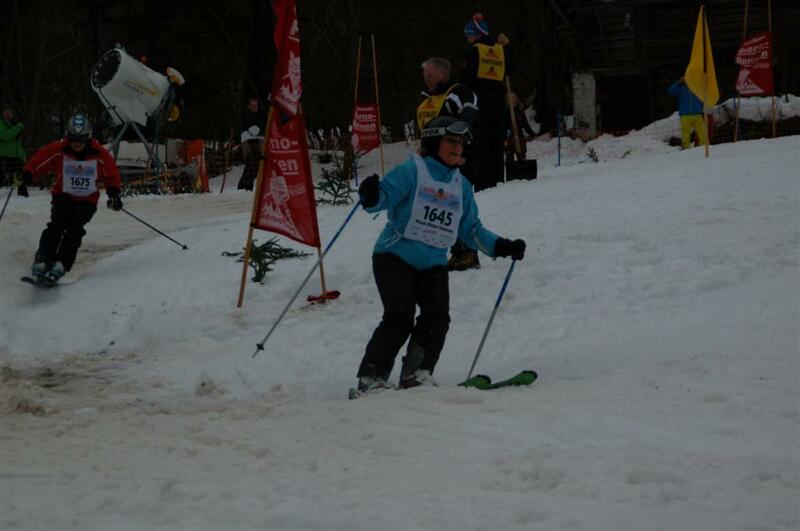 She is an excellent and highly competitive skier who loves going off-piste, very rarely falls over and is reguarly on the podium at the Inferno. After learning to ski as a child and becoming a Ski Club rep aged 22, Caroline has spent her entire career in the ski industry, setting up a holiday company, Fresh Tracks (which now operates as Ski Club Freshtracks), then taking the Ski Club through changes such as its move from Eaton Square to Wimbledon and its rebrand of 2010, as chief executive of the club. 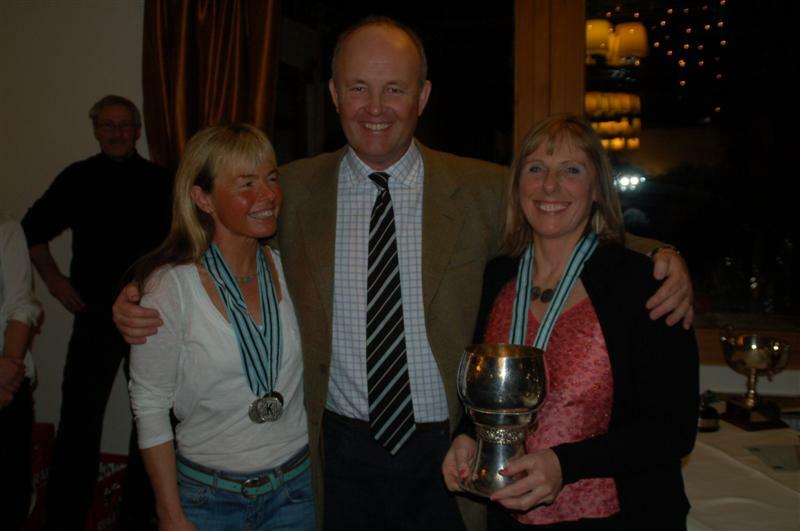 A statement released by the Ski Club this morning includes a woolly quote from the club chairman Neil Britten (“I’m sure members will join me in thanking … for efforts … wish all the best for the future…”), but no hint of what has prompted this parting. According to the statement, she intends to seek new challenges consistent with a career in the snowsports industry, and that she will continue as a Ski Club leader (but obviously not the leader). Addendum: there’s a more comprehensive article on the excellent news website PlanetSKI – you can read it here. I was interested to read in various papers recently about a man named Jean-Claude Baumgartner, who was jailed for more than two years last Friday for fraud. Baumgartner was involved in at least two ski-related businesses, and in relation to one of them, the Satski – a GPS device for the slopes – he appeared on Dragons’ Den in 2010 and secured investment to the tune of £230,000 from Peter Jones and Theo Paphitis. You can watch his stint on the programme, nearly two years ago, here. According to the Daily Telegraph report of Friday, Baumgartner, 50, “duped the Dragons [of the television show] into handing over the cash with false promises of a successful business backed up by fake emails and letters”. Baumgartner’s other venture, which he co-founded, was Picnics on the Piste. 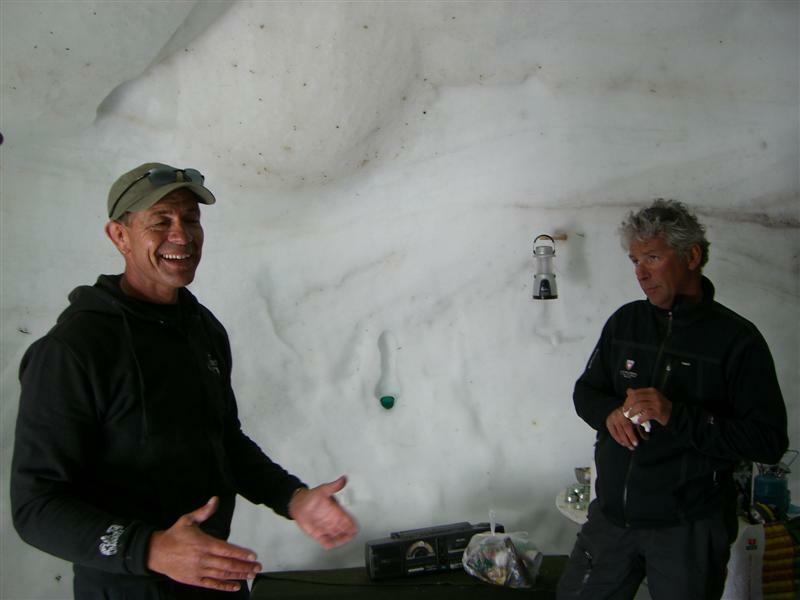 I met him in spring 2007 when I visited Val d’Isere with half a dozen other journalists, the main aim of the trip being to sample POTP’s services and write an article about it for the Sunday Telegraph. I remember him as publicity-savvy, talkative (with one of those “been all over the world” accents) and pleasant. Before the article I wrote could be published, POTP folded, and today the company, like Satski Limited and one other where Baumgartner held a directorship, is listed by Companies House as dissolved. 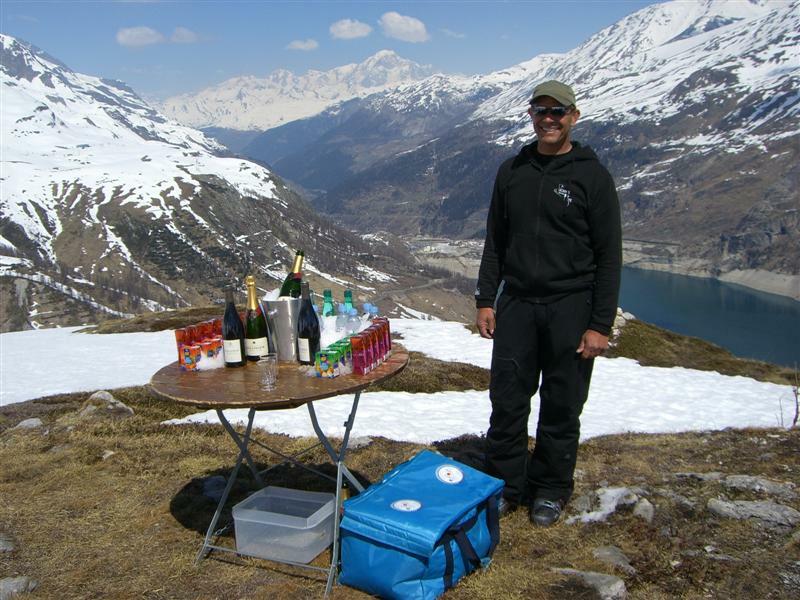 When the weather is fine enough to ski without long johns and a thermal vest I like to take a picnic up the mountain. Much as I enjoy eating tartiflette, Gulaschsuppe or salade savoyade at an alpine restaurant, there’s something satisfying and slightly intrepid about filling a rucksack with goodies from the supermarket and stopping for lunch whenever and wherever one likes. In France, the core of my feast is usually a wedge of Beaufort or Comté cheese; in Austria pairs of Landjäger sausages; in Switzerland viande sêchée or, in one resort, raw Bratwurst sausages, to cook on wood fires the pisteurs light every morning in cow-sheds. Wherever I am, I carry a bar of whichever chocolate I’m addicted to that week (last spring’s favourite was red-packaged Lindt, which melts to exactly the right texture during a sunny morning’s skiing). 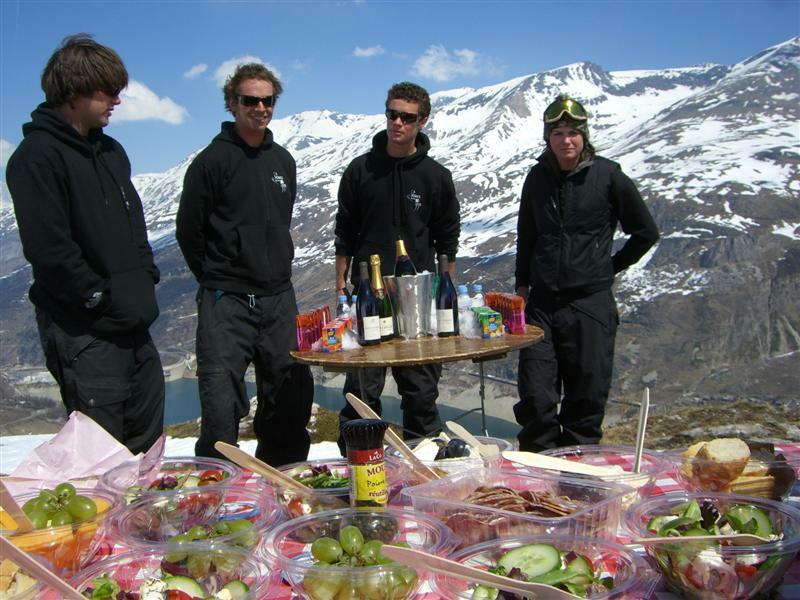 So finely have my usual skiing friends and I perfected the art of alpine picnicking that I was sceptical at first when I heard about a new company – launched last season in France – that delivers picnics to hungry skiers up the mountain. Could they assemble as tasty a spread as we can? Would it be expensive, compared to doing one’s own shopping? Would you have to book ages in advance, and be subject to the whims of the weather? 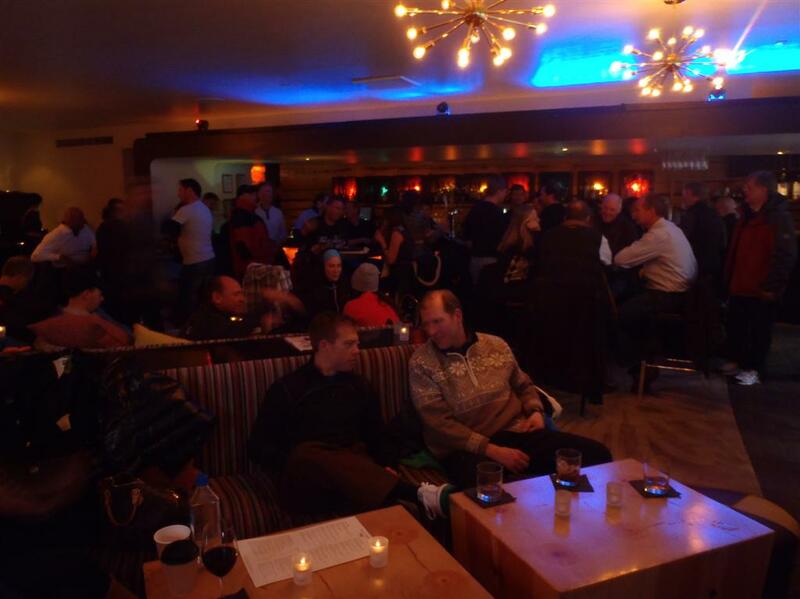 The company, Picnics on the Piste, was set up by two regular visitors to Val d’Isère: Englishman Mark Strachan and Dutch-French, Australian-based Jean-Claude Baumgartner. 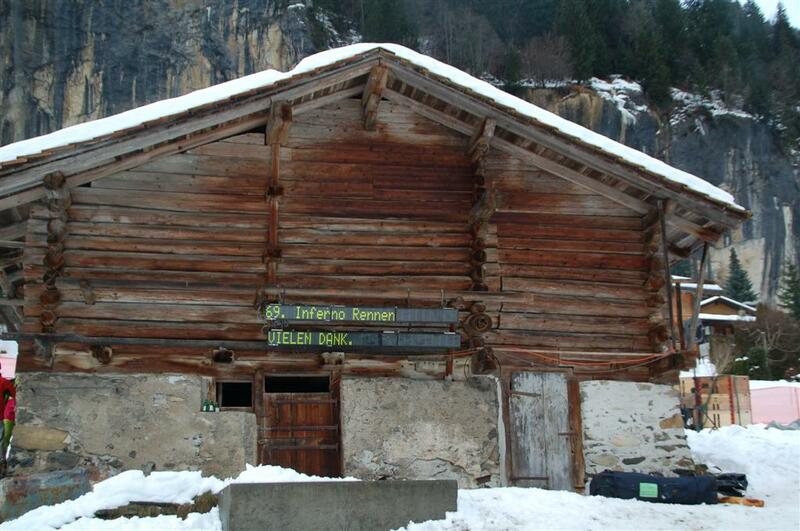 Their backgrounds are in computer games and marketing, but they are keen mountain picnickers – and determined characters, it seems, too, as they first had to take on the Val d’Isère commune in court after locals resisted their plans. “We found support as well as resistance, and we’re not really a threat to anyone because most of our customers only have a picnic once a week,” Baumgartner told me. 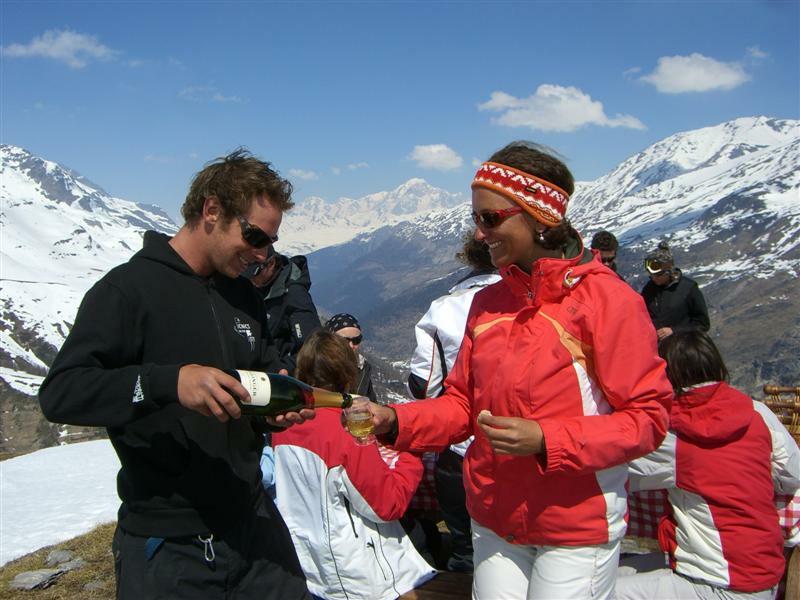 Last season, their “trial period”, POTP’s 20 staff served 2,000 picnics in Val d’Isère, Tignes, Méribel and Courchevel, 70 per cent of them to British guests, and to parties of up to 80 as well as small groups, couples and families. This season the service expands to Verbier, Val Thorens, La Tania, La Plagne, Les Arcs and St Anton. A “green” picnic (picnics graduate to the ski-run colours of blue, red and black as you pay more), with hot soup, baguette, Babybel cheese, ham, fruit, crisps, chocolate and water, costs £9.99 per head. Supplies come from local firms – meat from a Val d’Isère butcher, general food from the wholesaler Cash Hotel 2000 and cakes from Maison Chevallot pâtisserie – although foreign produce, such as Cheddar, nevertheless creeps in. We didn’t have the excuse of a corporate outing, birthday or marriage proposal (all of which Baumgartner’s customers have celebrated with a POTP), but we opted for the elite “black” picnic (£29.99 each), complete with table and chairs, Bollinger (£29.99 extra per bottle) and a skidoo ride to a scenic plateau away from the whizz and whirr of the ski area. Not a cloud had been spotted for weeks and the snow was turning to slush by midday, so we felt confident, first, that we’d be warm enough, and second, that we’d happily curtail our skiing day with a leisurely lunch. We set out from beneath the Tommeuses chairlift, piloting the shiny skidoos ourselves after watching a cursory demo – luckily, driving was as easy as it looked – and dismounted a few minutes later next to a wooden picnic table (there was too little snow left for a dug-out “snow table”). Our waiters – cheerful young Antipodeans clad in black hoodies, combats and sunglasses – distributed plastic glasses of fizz. Picnics on the Piste’s off-piste lunch venue is a sensational spot, and one that few would come across unless they are brave enough to negotiate one of the couloirs above, named “les Oreilles de Mickey” after a radio mast on the ridge that resembles the cartoon mouse’s ears. As we squinted up in awe there was no action; just a few faded snowboard tracks. In the valley lies an expanse of deep turquoise – the dam, Lac du Chevril – and in the distance the hump of Mont Blanc. To one side are the slopes above Tignes Les Brévières and Les Boisses, the concrete of Lac de Tignes just peeking into view; to the other, the shoulder of Bellevarde and the more distant Solaise. What a contrast to elbowing one’s way among hordes of sweaty holidaymakers in the hunt for a space in a mountain restaurant. We piled into firm, buttery foie gras, quiche, bunches of grapes and creamy patisserie and chocolates. Everything was cold, apart from soup and coffee, and of the “can’t go wrong” ilk – Camembert, smoked salmon, salami and a somewhat un-alpine Greek salad. It was a treat to picnic on delicate, squashable food that I wouldn’t normally risk or bother carrying; in fact, we ate so well that back at our base, Chalet Santons, we had no room for afternoon tea. I was impressed, too, that someone had thought to put a proper pepper-grinder on the table, although if I’d packed the hamper myself I’d have thrown in salad dressing as well. We had our glasses filled and our mess cleared up, but picnickers who opt for piste-side delivery – meeting their meal at an accessible spot within the ski area – put their rubbish in a plastic bag (which can be worn like a rucksack) and take it to a bin. What about the weather? POTP operates on the basis that there will be 50 days per season that are fine enough to eat in the open, and takes bookings until 10am so that clients can decide to picnic the same morning. Baumgartner and his crew also build igloos – for use during bad weather as well as for candlelit picnics – using a giant inflatable mould and a snow-blasting machine. Bizarrely, the structures have to be inspected and certified by the local fire-brigade. A POTP is fun and convenient, but is it value for money? Well, yes and no. A green picnic comes cheaper than a soup, sandwich, crisps, chocolate bar, apple and drink at a self-service mountain restaurant, but dearer than at the local Spar. A black picnic is only marginally cheaper than a four-course lunch at the top-tier mountain restaurant La Fruitière, although POTP clients save on alcohol, with wine at £10 and Bollinger £30: La Fruitière’s cheapest wine is £14; its Champagne from £43. For the black picnic, too, you could assemble most of the ingredients yourself from the shops for less money. But you’d struggle to carry it all morning, especially getting on and off Val’s super-swift chairlifts and squeezing into funiculars and telecabins, without bruising grapes, leaking soup or coffee, cracking plastic glasses and decimating those scrumptious Chevallot cakes. Yesterday, I skied in the US for the first time. I’m lucky enough to be in Aspen – and even luckier in that I’m here on a press trip, researching articles for the Telegraph and Fall-Line magazine. We arrived on a Frontier Air flight from Denver, only just making it in, as a snowstorm was settling over the valley. 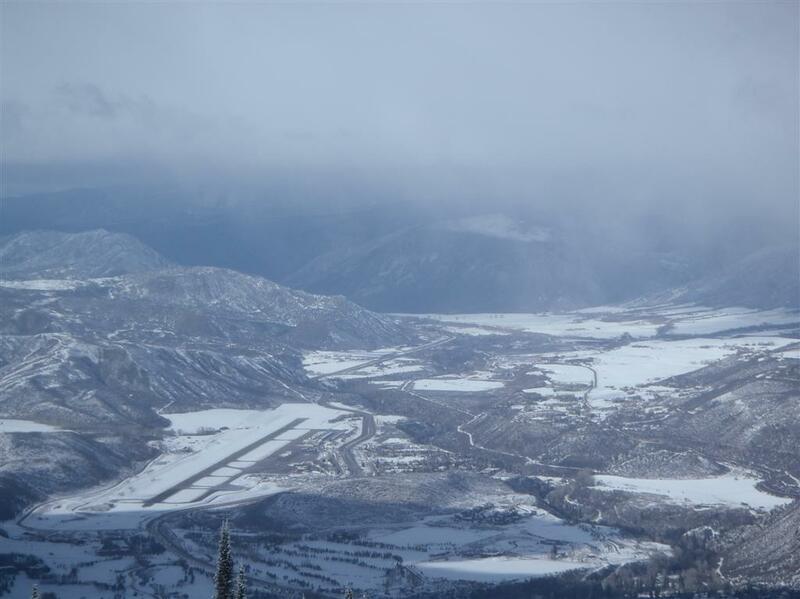 Aspen airport, which is 10 minutes’ drive from downtown, apparently has a “three-mile rule” on visibility, and locals say that landing there is like threading a needle. We circled for 20 minutes before a hole in the blizzard allowed us to land, but unless the pilot had supersonic eyesight, I don’t think there was more than a mile of viz. Definitely better than a four-hour bus transfer from Denver, though. Great news, for us, anyway, that it was snowing, as there was 10cm of fresh by morning and it was still coming down. 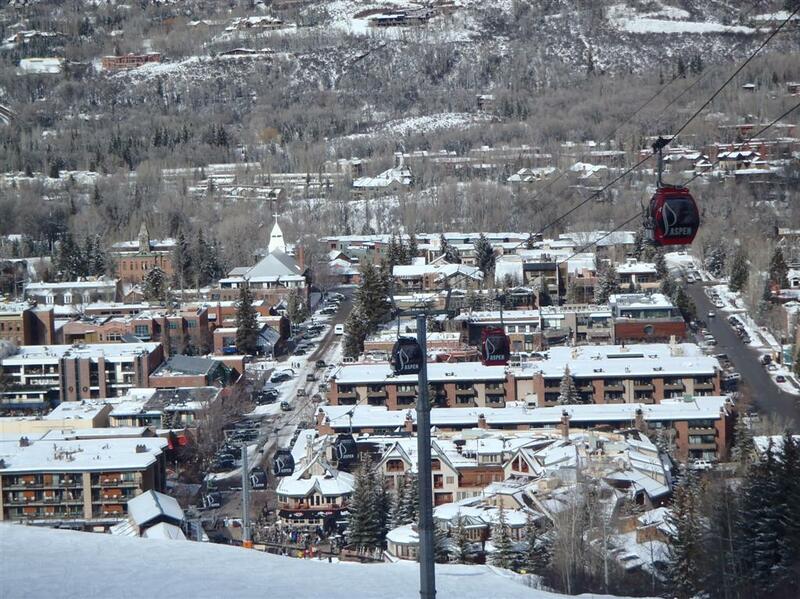 Our first day, on Aspen Mountain (aka Ajax), which rises directly from the town centre, confirmed all the cliches I have read and heard about skiing in America. The pistes were pretty much empty. The snow was light, fluffy and easy (maybe we are lucky on this trip, but at least it’s living up to its reputation). There were unlimited off-piste opportunities, with nearly every inch of the inbounds area ripe for exploration. Portions at lunch were LARGE. There was free water, coffee and suncream handed out all over the slopes. The visibility, even in bad visibility, was fantastic, because of the trees. In short, I loved it. Even on Ajax, which isn’t an especially large acreage, there is an astonishing choice of runs – mostly on gladed slopes, some quite steep. Over the next days we’ll be exploring the other mountains – and seeing more of the town, especially beyond the fur-coat-and-jewels brigade, for which Aspen is famous. If you missed Ski Sunday yesterday, try to find time to watch it on BBC iPlayer. Not for the coverage of the men’s World Cup downhill at Les Houches, Chamonix, on Saturday – though it was exciting, with three Canadians pushing most of the Austrians and Swiss out of the top five – but for the visit made by the presenters to the Hospice du Grand St Bernard. Graham Bell and Ed Leigh hiked up on skins to the hospice and monastery, near the Swiss-Italian border at 2,500m, with a guide, stayed the night, and skied down into the Aosta valley the other side (in great-looking powder – but this wasn’t really the story). I was a little surprised they made the ascent in such obviously risky-looking conditions, as the place – they were explaining – is known for avalanche danger: in fact, the camera crew was narrowly missed by a ‘minor’ sluffy-looking slide and everyone had to get a move on as the wind was whipping up more potential danger. Their excellent report includes fascinating black and white footage of the hospice and olden-days groups en route up to it. People have been crossing this pass for millennia: the hospice was originally built in 1050 and since then, its doors have been perpetually open to travellers. Graham and Ed were in awe of its history, its magnificent interior (we glimpsed frescoes on the vaulted ceiling), and of the monks themselves. By the end of the programme, both of them looked uncharacteristically pensive and serene, and Graham went as far as saying it was the “most inspiring trip” he had ever made. Was it touching or cheesy? In my view, the former: it was excellent to see Ski Sunday diversifying to cover facets of life in the mountains that are just as thrilling as high-speed action. See the episode by clicking here. 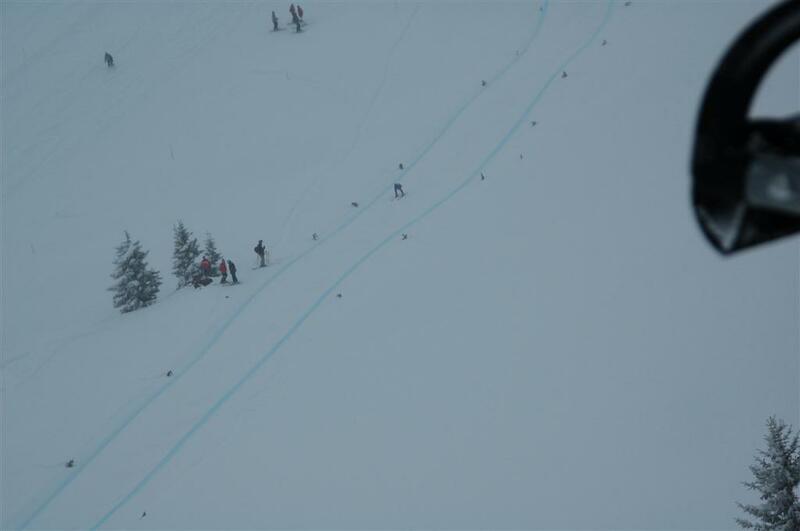 To read more about the men’s downhill here is a report. 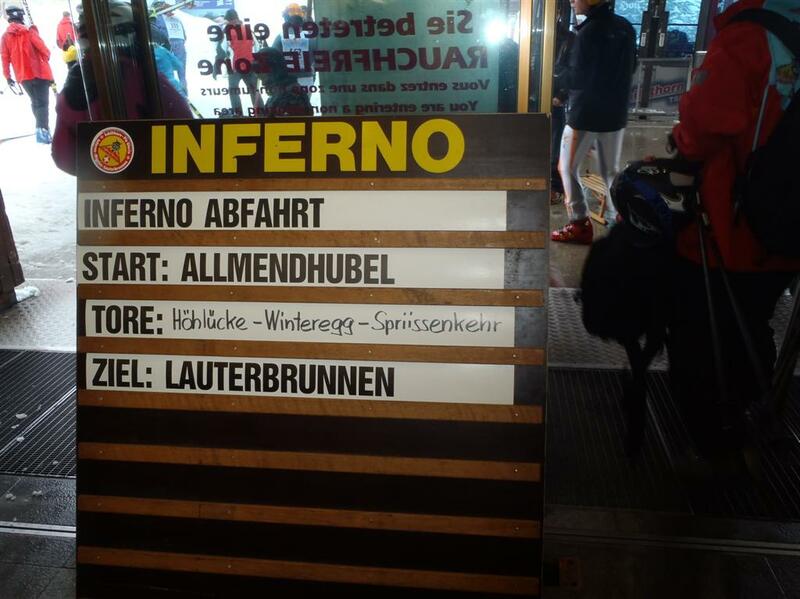 1/2/12 – Inferno 2012: how did it turn out? Just over a week ago I predicted that wax and the tuck would swing the result of the Inferno downhill on Sunday, 22 January, on the Allmendhubel to Lauterbrunnen “glide and hairpin” course. It turned out I was partly right – but an even greater factor was the weather, which improved as the day went on. 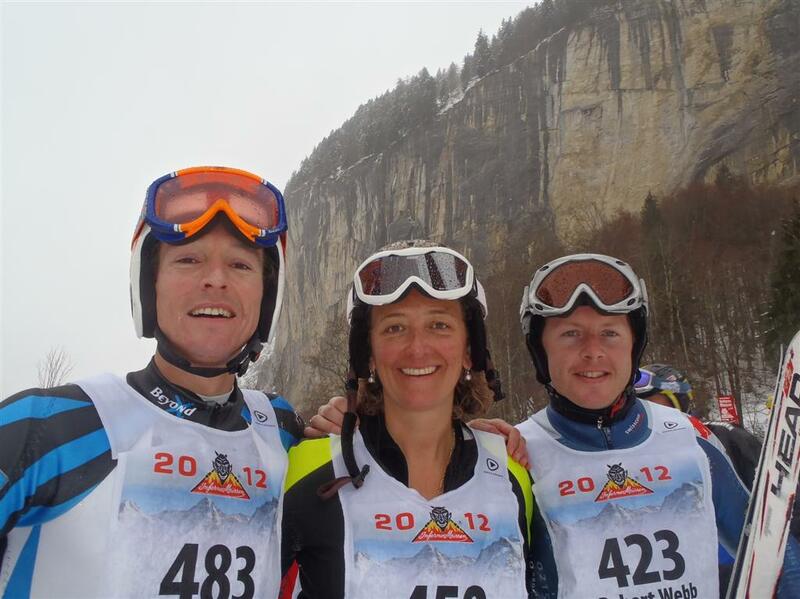 Read what happened in this article I have written on the excellent ski news website PlanetSKI – it includes more on the winner and on my own snow-and-rain-spattered run. Read the extensive and detailed results here. It’s all in there really, but for the real keenites I am adding a little more detail. They were spot on, and the improving conditions – as well as the winner’s hours spent tuning his frame to the tuck position in his living-room (see my PlanetSKI article) – led to the extraordinary leaderboard, in which none of the top ten left the start gate before midday. During my run, it was snowing at the top and raining at the bottom. 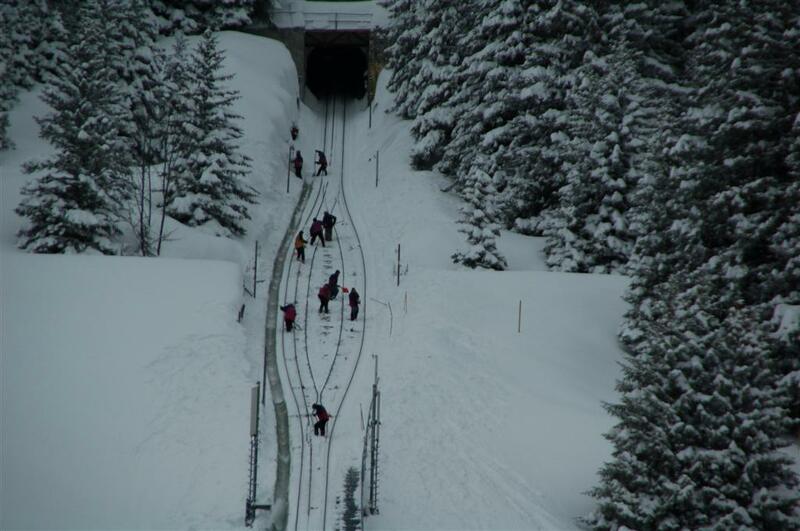 With somebody leaving the start gate every 10 seconds, it wasn’t exactly knee-high powder on course – unlike at Kitzbuehel’s Hahnenkamm on the same day, where one unlucky racer had to ski on a layer of fresh after a five-minute “TV ad break”, as explained by Graham Bell on Ski Sunday. But the snowfall doubtless put the brake on early starters – not that anyone set off in strict order after the delayed-by-an-hour start. As the day went on, it eased off and by 3.45pm, when the last racers hurtled, cruised or struggled down, it was bright. In the end, it was fantastic to see a “rogue” winner in 30-year-old Samuel Imhof (start number 1,602), a geography and sports teacher who grew up in the Gotthard district, not far from Andermatt, and did regional racing as a teenager. 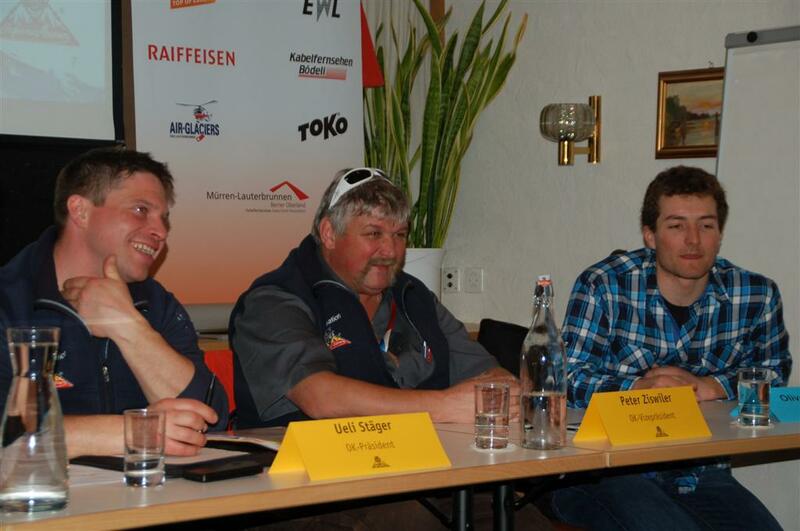 Now he lives in Basel and skis for fun at low-key places like Adelboden and Elsigenalp. The local hotshots will have their day again, but the Inferno 2012 belonged to the bold late starters on whom the skies smiled. Addendum: see this article here about a first-time British racer in the UK regional press.